At the end of Yellow Brick War, Amy had finally defeated Dorothy. 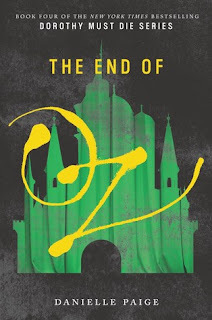 Just when she and the rest of the surviving memenver of the Revolutionary Order of the Wicked thought it was safe to start rebuilding the damaged land of Oz, they realised they've been betrayed - by one of their own. And Dorothy might not have been so easily defeated after all. I currently have mixed feelings about this series. I loved the first one, I didn't like the second one all too much and third one wasn't all too bad. I am hoping I like this one. The one thing that I really enjoy about Danielle Paige is that her writing is consistent. Her writing is good. I found that the flow of the writing was a lot better in this book. The dialogue was more natural and only enhanced the story further. 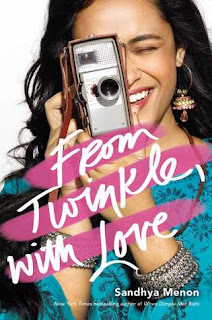 I liked the plot of this book way more than the previous two books. It seemed to have more of a direction and more of a purpose. Although there weren't a lot of plot changing events, this book dealt more with tying the loose ends. It allowed us to see that maybe Oz was home for Amy. It also allowed us to see a different side of Dorothy. Dorothy got a couple of chapters to herself in this book which I really liked. It allowed the reader to see her as more than just a villain. I also like how we got to see a little more about Madison. She wasn't my favourite in the first book, but being able to see her grow over the books and end up being a strong character who would fight for her friends was really nice. Overall, I really liked this book. It was definitely needed. I liked how the writing seemed to become better in this book. It was more evenly paced and flowed really well. The plot had more of a direction and in the end it created a really good conclusion to the story. I like how Paige explored Dorothy's character in this book. In the end, this is probably my favourite series' conclusion to date. Thank you so much to Jonathan Ball Publishers for providing me with a copy of this book.